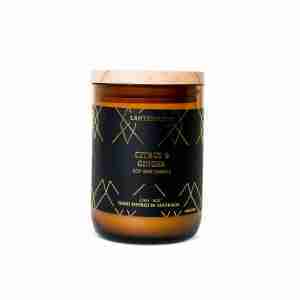 Hand-poured right here in Australia, this 8oz (226g) rustic amber glass candle has been filled with our soy wax blend and combined with the fresh fragrance notes of Citrus Ginger. 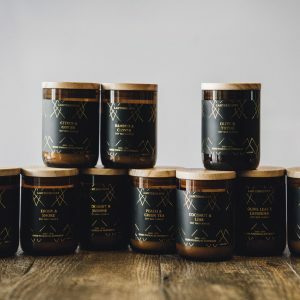 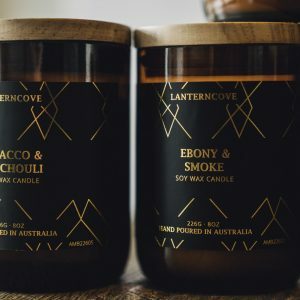 Hand-poured right here in Australia, this 8oz (226g) rustic amber glass candle has been filled with our soy wax blend and combined with the deep fragrance notes of Ebony & Smoke. 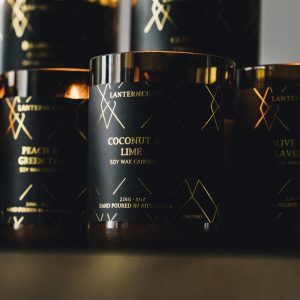 Hand-poured right here in Australia, this 8oz (226g) rustic amber glass candle has been filled with our soy wax blend and combined with the fresh fragrance notes of Peach & Green Tea. 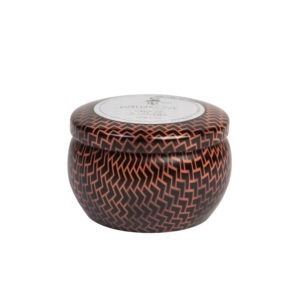 Hand-poured right here in Australia, this 8oz (226g) rustic amber glass candle has been filled with our soy wax blend and combined with old time fragrance notes of Tobacco & Patchouli. 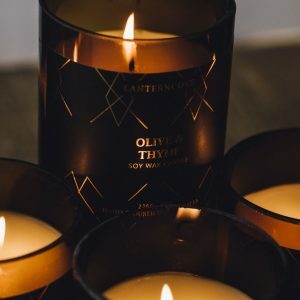 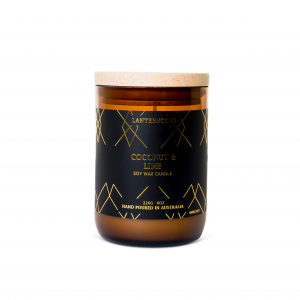 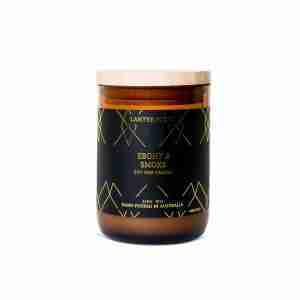 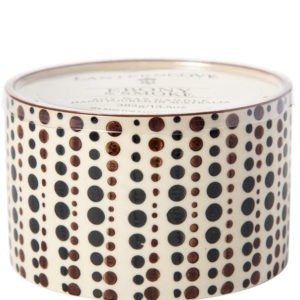 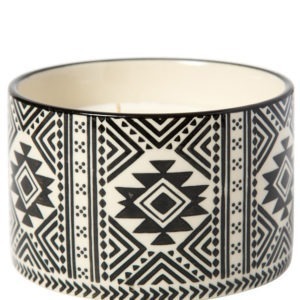 Hand-poured right here in Australia, this 4.5oz (127g) black and brown print candle has been filled with our rich, creamy soy wax and combined with the cosy fragrance note of Cardamon & Tonka Bean. 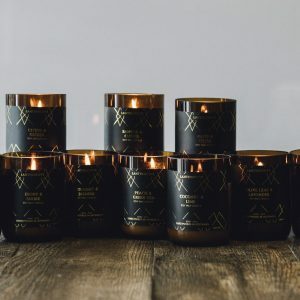 Hand-poured right here in Australia, this 8oz (226g) hand-painted candle has been filled with our rich, creamy soy wax and combined with the cosy fragrance notes of Ebony & Smoke. 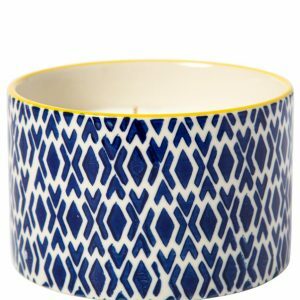 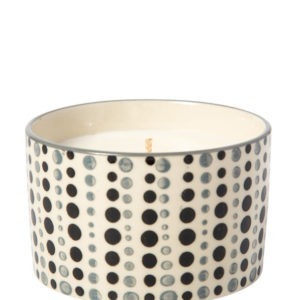 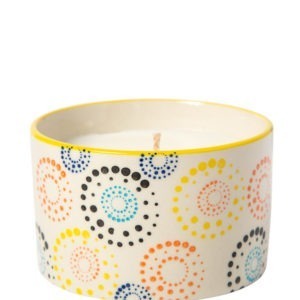 Hand-poured right here in Australia, this 8oz (226g) hand-painted candle has been filled with our rich, creamy soy wax and combined with the refreshing fragrance notes of Lemon Zest. 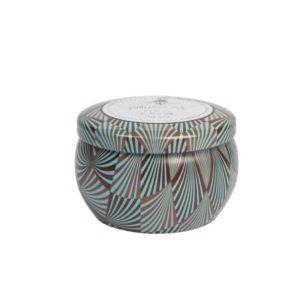 Hand-poured right here in Australia, this 8oz (226g) hand-painted candle has been filled with our rich, creamy soy wax and combined with the serene fragrance notes of Peach & Green Tea. 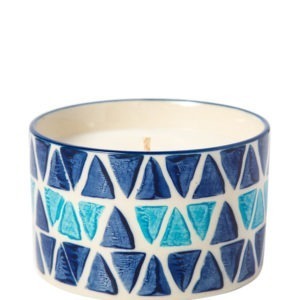 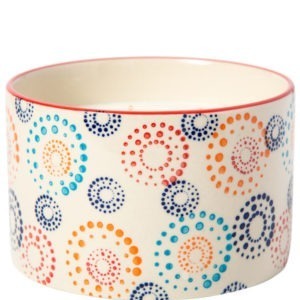 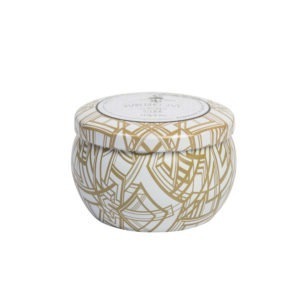 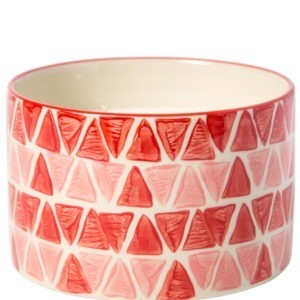 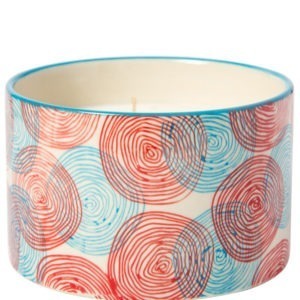 Hand-poured right here in Australia, this 8oz (226g) hand-painted candle has been filled with our rich, creamy soy wax and combined with the cheerful fragrance notes of Sweet Fig & Lilac.